By Keith Cowing on March 16, 2018 12:09 AM. Keith's note: The White House has submitted a budget request for FY 2019 which calls of the elimination of the NASA Education Office. They seem to think that education is not worth an emphasis. Take a look at this article (in French). 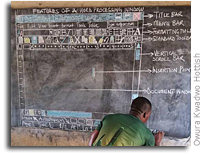 A teacher in Ghana was so intent upon teaching his students about computers - without computers to use - that he drew screen shots on a blackboard that is not even a blackboard but a painted wall. While we toss aside the value of education for no cogent reason others on this planet go to extraordinary lengths to educate the next generation. Some countries know what is important for the future. "A Ghanaian teacher has become a star on the web after publishing these photos: we see him reproduce very accurately on a table the word processor "Word". Due to lack of means, Owura Kwadwo Hottish is forced to teach his students computer science on this board. But his photos, which sparked a wave of sympathy on social networks, could help change things." Keith's note: The White House has submitted a budget request for FY 2019 which calls of the elimination of the NASA Education Office. They seem to think that education is not worth an emphasis. Take a look at this article (in French). A teacher in Ghana was so intent upon teaching his students about computers - without computers to use - that he drew screen shots on a blackboard that is not even a blackboard but a painted wall. While we toss aside the value of education for no cogent reason others on this planet go to extraordinary lengths to educate the next generation. Some countries know what is important for the future.\n\nGhanaian teacher becomes a hero of the web with this drawing on a board, Les Observateurs\n\n\"A Ghanaian teacher has become a star on the web after publishing these photos: we see him reproduce very accurately on a table the word processor \"Word\". Due to lack of means, Owura Kwadwo Hottish is forced to teach his students computer science on this board. 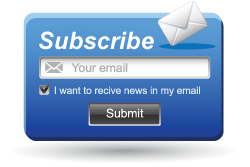 But his photos, which sparked a wave of sympathy on social networks, could help change things.\"
This page contains a single entry by Keith Cowing published on March 16, 2018 12:09 AM. The Identical Astronaut Twins Are Still Identical was the previous entry in this blog. NASA Allows RTG Proposals Again is the next entry in this blog.